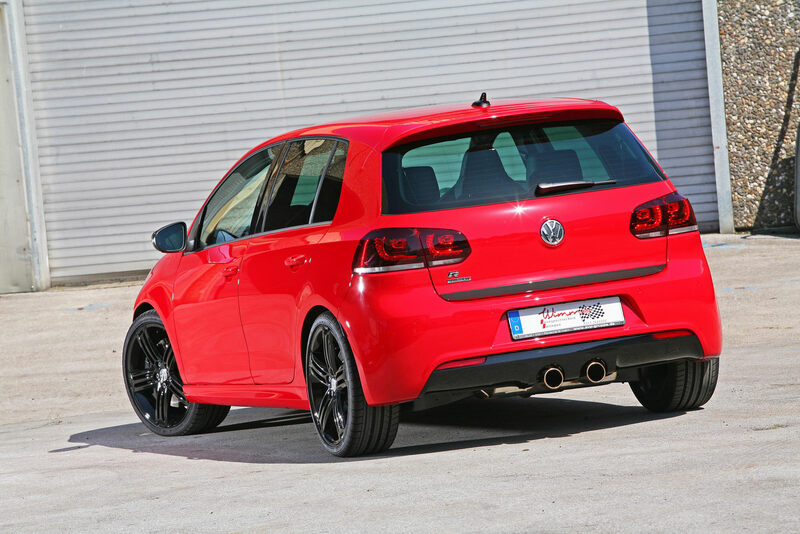 After the regular Golf and even the GTI version hit the tuning scene with lots and lots of versions it’s the turn of the Golf’s R version. The contenders to do it up this time are the people behind German tuning firm Wimmer RS and what they’ve decided to do with VW Golf R is pretty much evil. Why would I say evil? Well mostly because they really had their way with the performance of the car and because after they did so they decided to call it the Red Devil. As far as performance modifications are concerned the list is so larger that I’ll stick to presenting nothing but the most significant such as changes to the turbocharger, a remap of ECU, a new air intake, high flow injection nozzles and a sports exhaust system. So what’s the result? 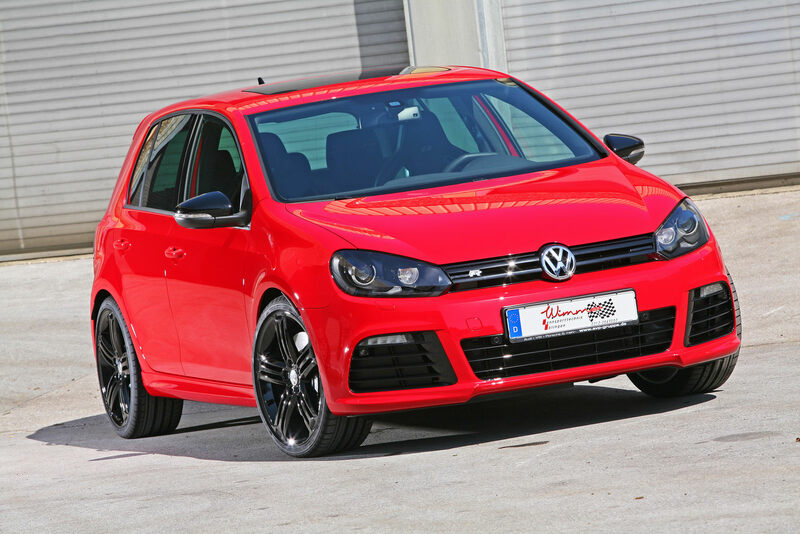 Well, according to Wimmer RS, the VW Golf R Red Devil churns out a staggering 478 horsepower and 610Nm or 450 lbs-ft of torque from the same (although that’s a stretching the term quite a lot) 2.0 liter TFSI engine that in stock form would develop no more than 270 horsepower and 350Nm or 258 lbs-ft of torque. Devilishly fast is what the car becomes with all the extra grunt so that’s why Wimmer RS engineers decided to limit the car’s top speed with an electronic buffer at no less than 181 mph. Naturally with this much of a stretch on the power, there’s a variety of suspension and brake upgrades. All of these modifications come to you at the cost of… Wait, they didn’t release a price yet.